Brrrr! It’s nearly Christmas – and it’s very cold! 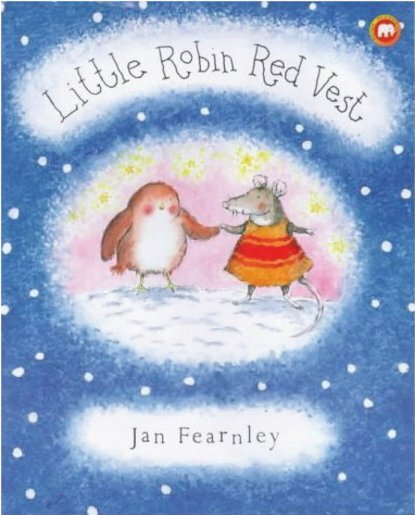 Kind-hearted Robin has given his warm red vests away to help his animal friends. But as Christmas Eve arrives, who’ll keep Robin warm? This dreamy winter story celebrates the true meaning of Christmas – sharing and giving. A delightful story which I’ve often used with nursery children. The robin shows much kindness to all his friends and is eventually rewarded by Santa himself. A great asset for Personal/Social lessons and group sessions, with many follow up activities. Please try and find the books again.